Divorce Can Make You Need to File Bankruptcy Getting divorced can end up driving you into bankruptcy, even if you were in good financial shape beforehand! Find out three ways to keep this from happening! Divorce in New Jersey continues to be one of the top causes of bankruptcy, and divorce is often caused by financial problems. But sometimes the financial problems are caused by the divorce, which then leads to bankruptcy! That is because the couple makes one or more of the following mistakes. Everyone knows that lawyers are expensive, and that in a divorce, they charge by the hour. So why do so many couples prolong the battle and thus run up the bill? “Matters of principal” are expensive! The smartest thing you can do is work together towards an amicable settlement as early on as possible. Try not to let emotions get in the way on custody and equitable distribution issues. No matter the outcome, the lawyer’s bill (and your possible insolvency) will be a bitter reminder of the cost. People filing bankruptcy tend to be focused on wiping out their debt backlog for a fresh start. Although this is a central purpose to bankruptcy, that fresh start won’t last very long if you do not have a positive cash flow going forward. If you have not been living effectively on two incomes, how can you each live separately on your individual incomes? That is a question that you need to answer before the divorce decree. This also goes beyond calculating alimony or child support. Consider this: you leave the divorce process with an additional expense: your lawyer’s bill. Your income now has to cover not only housing, food, transportation, clothing, and the like, but the lawyer too. Even where one spouse is ordered to pay the legal fees of the other, that financial obligation for the payor spouse may well impede his or her ability to pay an alimony and/or child support obligation that is critical to your cash flow! Couples often fight over who gets the house or the larger share of the family business, both of which are non-liquid assets that would have to be sold to get any ready cash necessary for financial stability. Consider the situation where one spouse gets the house (often the wife, who also gets custody of the children) and the other gets a commensurate amount of more liquid assets, like retirement accounts, savings accounts, brokerage accounts, and the like. This may be considered a 50/50 split, or an “equitable distribution,” but will it lead to financial independence? This can also create a cash crunch if the wife gets the house, but non-permanent alimony and child support for teenagers, who will be turning 18 soon. The income supplement necessary to make the mortgage payment could go away soon, thus making the house (often the trophy in the divorce) a financial burden. This is even where the spouse did not agree to take on the marital debt in return for the house! Naturally, the best course of action is not to make these mistakes in the first place. Release the emotions, work out a fair and amicable settlement early on, and balance the liquid assets in the divorce properly. This will increase your chances of financial stability down the road. If it is too late for that, and you see yourself heading towards financial problems, you should consult with a bankruptcy attorney. 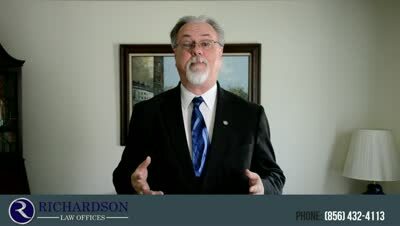 If you live in southern New Jersey, however, please feel free to call me at 856-432-4113 or contact me through this site for a free consultation in my Woodbury office to discuss your case. If you are looking for more information about bankruptcy, then download my free book,Top Questions People Ask About Filing Bankruptcy in New Jersey. You can also learn more about bankruptcy as it relates to divorce by downloading Top Questions Divorcing Couples Ask About New Jersey Bankruptcy.